Whether you’re pre-planning for your own funeral service or recently lost a loved one, you may be faced with many decisions. One of the most important tasks involved in a traditional burial is choosing the casket. To ease the stress of the process during a difficult time, use the guide below when making your selection. Wood and metal are the two main types of casket materials to choose from. Wood caskets come in many species, such as pine, walnut, and mahogany. Reclaimed and distressed wood are increasingly popular choices. They can be stained in many shades, and come with finishes such as matte or satin. This material will add a touch of classic elegance to honor your loved one. Metal caskets are known for their durability. They can be made of stainless steel or lovely precious materials, such as gold, rose gold, and copper. Whether timber or metal, caskets come with hardware that’s as simple or as ornately carved as you desire. Velvet is a soft and attractive choice for the casket lining, as are silk and crepe. Many colors are available, from champagne and eggshell to luxurious crimson. Overlays and folds add visual interest. If you opt for a metal casket, you’ll have to decide whether to use a gasket. Gaskets are rubber seals that prevent the elements from entering the casket. If you’re planning to inter your loved one in a mausoleum, gaskets aren’t recommended. If you want to personalize the casket of the deceased, it is possible to request custom engravings. Standard engravings include the name and dates of your loved one. You can also request artistic carvings, decorative posts, and corner designs to be added to the casket’s exterior. Other unique features to consider include a memory drawer where personal messages or mementos can be kept. Medallions, crosses, and alcoves for images can also be added to the casket’s interior. If you need help planning a funeral service to honor the memory of your loved one, turn to the compassionate staff at DiPonzio Funeral Home. 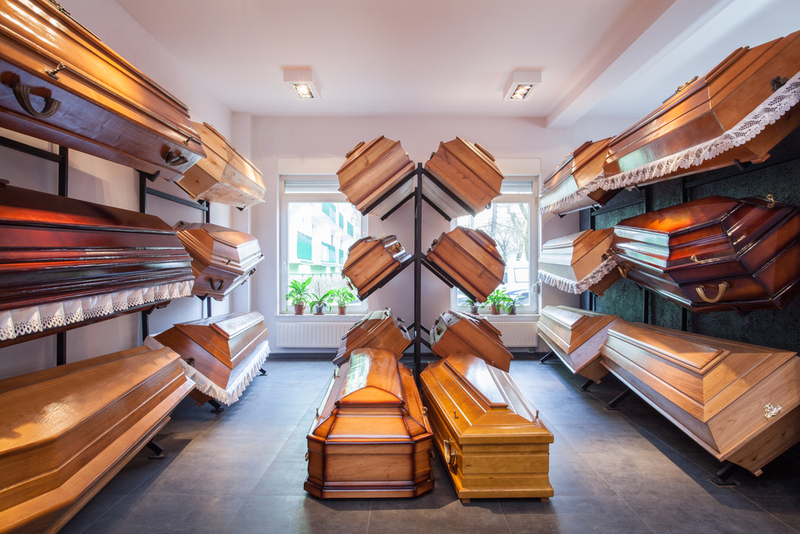 Located in Rochester, NY, the premier funeral home will assist with every step of the arrangement process, from choosing a casket to writing an obituary. Call (585) 429-6700 today to schedule a consultation with a funeral director. You can also visit the website to learn more about their full list of services. Other Announcements, Events and Deals from DiPonzio Funeral Home Inc.
A. DiPonzio Funeral Home Inc.